Major regional US bank BB&T announced that it’s acquiring regional US bank SunTrust Banks in an all-stock deal that will value the combined company at $66 billion and create the sixth-largest bank in the US, according to The Wall Street Journal. The banks said the deal would produce $1.6 billion in “synergies,” which are achieved by eliminating redundancies to cut costs, suggesting that there will likely be layoffs. The combined company should leverage SunTrust’s strong digital offerings to build out an engaging mobile banking channel that could attract new customers. The acquisition suggests that BB&T might absorb SunTrust’s digital banking platform. 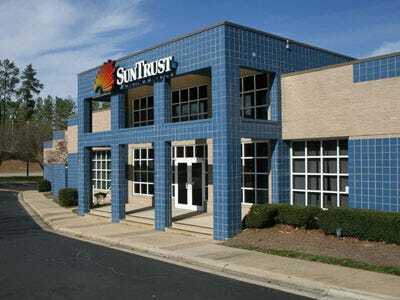 However, SunTrust’s mobile banking platform was found to offer more features ranked desirable by US consumers, according to Business Insider Intelligence’s Mobile Banking Competitive Edge study (enterprise only), which ranks the banks best positioned to attract consumers with their mobile offerings: SunTrust took the sixth spot overall in the study, while BB&T ranked at 11th. Notably, SunTrust tied for first in the account management category of the study due to its robust offerings, which include the ability to set bank alerts, select paperless statements, change online passwords, and enroll in mobile banking without an online account. Therefore, if the acquisition gets approved, BB&T should leverage SunTrust’s strengths to build out a robust digital banking offering to position the combined bank competitively against US giants like JPMorgan Chase — which counts 33.3 million active mobile customers — and Bank of America — which counts 26.4 million active mobile users — as these firms often gain more new customers in part due to their digital offerings.